Horse owners are finding essential oils can be a valuable component of their animal’s well-being and more than a few are educating themselves about incorporating the oils in their horse management program. Among those were 14 horse owners who recently gathered at Sweet Grass Stables in Black River Falls to learn more about essential oils from Kristina Ellis of Trevor. They were introduced to the wide range of essential oils and the disorders the substances can help alleviate in their horses. Operating as an independent wellness advocate under the business name of The Oiled Equestrian, Ellis travels the Midwest and offers essential oil education for human and horse use. Essential oils are distilled or expressed from various plant parts, the petals, seeds, rinds or resins resulting in a highly concentrated oil. The resulting aromatic compounds are termed volatile because the scents change from a solid or liquid state to gas at room temperature. 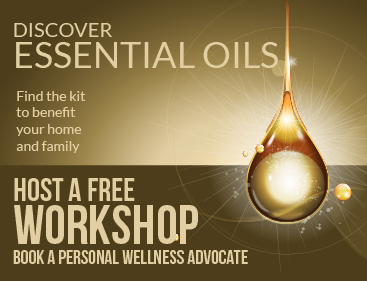 Ellis instructed the workshop attendees the three ways for administering the oils — aromatically, topically and internally. Aromatically is often done with a diffuser, but the essential oil can be applied to tack such as a halter so the horse can benefit from its scent while wearing the gear. Topical application means the essential oil is applied to the horse’s coat. When essential oils are applied to the body’s exterior, they should be mixed with a carrier oil such as fractionated coconut oil. Single drops of the essential oil can be applied to various parts of the body such as the tips of the ears, poll or coronet bands at the tops of hooves. A drop placed on the tip of the horse owner’s finger and allowed to dry can be applied to the horse’s gum under the upper lip. This is an effective way to administer a digestive blend when horses are experiencing digestive discomfort. Certain essential oils can be administered internally, but Ellis advises users should read the labels and be educated on the essential oil they want to use. Ellis finds essential oils are a valuable part of her training program. As a Mustang Heritage Foundation Trainer Incentive Program trainer, she receives mustangs from the Bureau of Land Management, gentles and trains them for placement in new homes. “My own mustang loves having essential oils and receives targeted protocols often,” Ellis said. When her Connemara gelding was having difficulty bending its neck, Ellis used essential oils to complement chiropractic and massage sessions. The positive results of the oil therapy eliminated the sometimes invasive veterinary treatments suggested by her veterinarian. After she began the regime of essential oils, her horse’s chiropractor remarked on the improvements to her horse’s flexibility, which reduced chiropractor visits from monthly to once or twice a year. Ellis is convinced of the effectiveness of essential oils through use of essential oils on her horses and pets, because she’s learned animals do not have a concept of the placebo effect; their reactions to the therapy either indicate it works or it doesn’t. While essential oils can be blended without worrying about chemical reactions, Ellis is quick to remind that thoughtfulness should be taken when blending oils. “Just because they can be blended together for a specific purpose doesn’t mean the blend will smell nice,” Ellis said. Some of the essential oils have names often associated with kitchen spices and flavorings. They include rosemary, peppermint, marjoram, ginger, oregano, thyme, fennel, sage, cinnamon and clove. Other oils derived from more exotic plants include frankincense, eucalyptus, helichrysum, geranium, melaleuca and ylang ylang. Pronounced ee-lang ee-lang, the oil comes from a tree of the same name native to Indonesia and valued for the scent of its flowers. Ellis’ introduction to essential oils started when a massage therapist working on one of her horses told Ellis the horse “tested for marjoram.” Wondering how her horse “tested” for a spice generally associated with culinary arts, Ellis decided she needed to learn more about the therapy when she saw the improvement in her horse. Ellis sources her essential oils from doTERRA, an essential oil supplier. Started in 2008, doTERRA is derived from Latin meaning “gift of the earth.” Based in Pleasant Grove, Utah, the company established a standard of quality known as the CPTG Certified Pure Therapeutic Grade. Before doTERRA set the standard, the essential oil industry didn’t have protocol for quality. To meet the standards it has developed, doTERRA acquires the plants or plant parts from their natural environment. Along with supplying unblended oils, doTERRA offers mixes for repelling insects, countering depression, digestion, arthritis and respiratory issues. Attendees at the Jan. 20 workshop were able to do a mix-and-take session at the end of Ellis’ presentation. Those wanting more information about essential oils and how they can be incorporated in a horse wellness program can contact Ellis via her website at www.theoiledequestrian.com.